With millions of members inspiring each other to lead a healthier lifestyle, we wanted to make it easy to for you to discover and share the best possible fitness routines in the world. 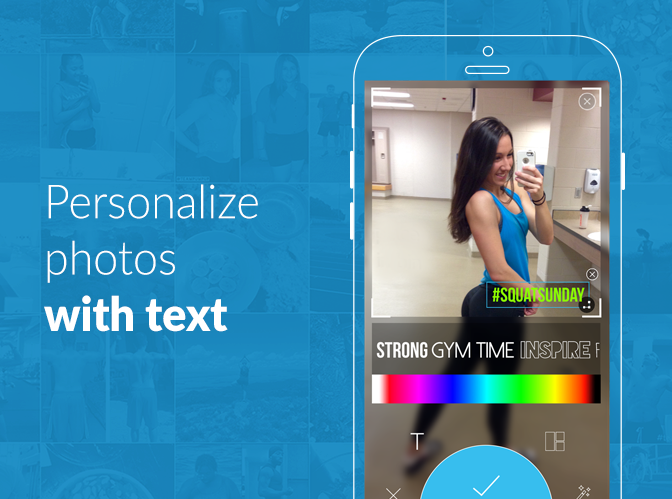 Social Workouts is a brand new feature that makes it easy for you to discover amazing workout routines from the community members who inspire you the most. From rigorous full-body circuits to simple stretches, you can discover unforgettable routines to help you achieve your goals! If you have an incredible routine you want to share with your followers, Social Workouts makes it simple to create and share your best routines with the community. As PumpUp evolves, each new feature we build is focused on deepening the connections in our community. That’s what Social Workouts are all about— enriching the ways that our members share about their health with the community. For this reason, we’re sunsetting our automated workout feature and evolving it into Social Workouts. Anything is possible with the world’s most positive and knowledgeable health community. With social workouts, PumpUp’s amazing members can share incredible fitness routines with each other and get one step closer to becoming the best versions of themselves. We can’t wait for you to discover brand-new workout routines made with the power of the PumpUp community. 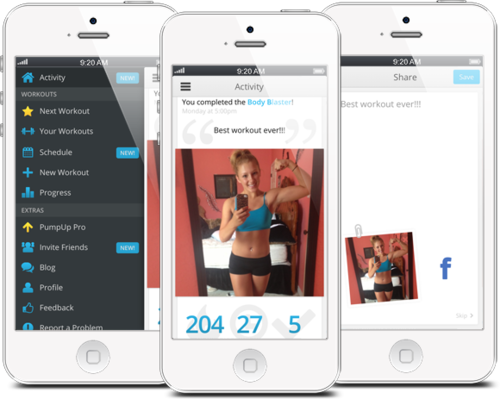 No matter what your goal is, PumpUp will have the perfect workout for you. A special treat for Android members: Photo Editor! The wait is over! We've brought Photo Editor to Android so you can create gorgeous, customized photos that best represent you. Document your “before” and “after” pics with different layouts, add text on top of your photos, crop and zoom your images, and enhance your pictures with stunning filters. Download PumpUp 3.3 in Apple’s App Store and on Google Play. 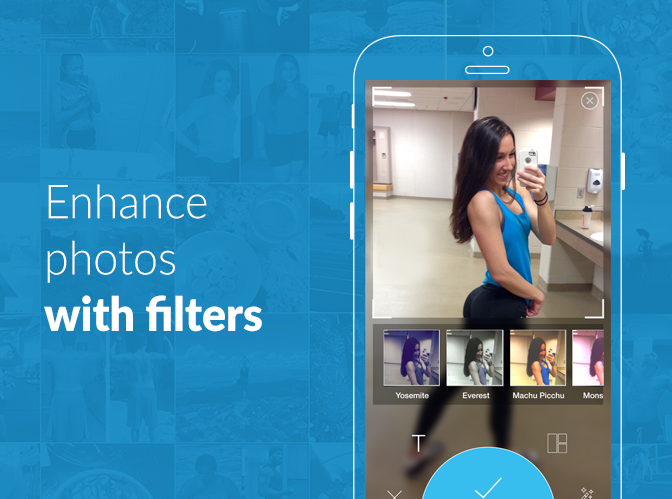 Today, we’re excited to bring you the new PumpUp Photo Editor, which allows you to create gorgeous, customized photos that bring your fitness journey to life in a way that best represents you. Now you can create different layouts, add text on top of your photos, crop and zoom your images, and enhance your pictures with stunning filters. 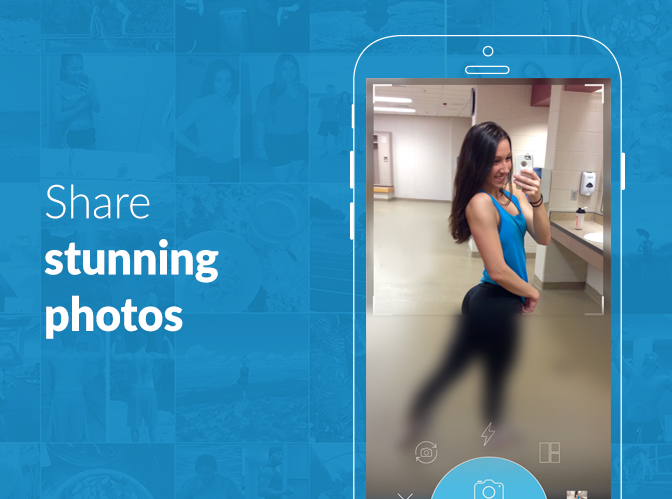 From an image of your nutritious smoothie, to a sweaty post-workout selfie, every PumpUp moment represents something memorable in your fitness journey — something you broadcast to your followers to inspire them when you tap “post.” It will especially come in handy for those inspiring before and after photos you love to share on #TransformationTuesday. Over the last year, the PumpUp community has grown to over 2 million people capturing and sharing healthy lifestyle moments all around the globe. With Photo Editor, you can share and inspire in a deeper, more beautiful way. Thank you for your patience while we experience a few growing pains to accommodate thousands of new community members joining PumpUp every day. We’ve worked hard to advance our technical infrastructure to provide you with the amazing experience you expect from PumpUp! Other key features in the new update include the ability to double tap a photo to like it on PumpUp, and an optimized design for the iPhone 6 and 6+. The new editor feature is available starting today for Apple iOS devices and will support Android devices later this year. Tell us what you think about Photo Editor on Facebook; tag us with all the tags on Instagram; tweet us a blurb or two, and of course… share your photos on PumpUp! We can’t wait to see the amazing images you create. From the bottom of our hearts, thank you for continuous support #TeamPumpUp! Stay tuned, we have more exciting features coming soon! Download PumpUp 3.1 in Apple's App Store and on Google Play.